The suspect's vehicle was a red or burgundy older van, police said. PORTLAND, Ore. — An 85-year-old woman was hit and killed in a hit-and-run crash in Southwest Portland on Tuesday morning, police said. 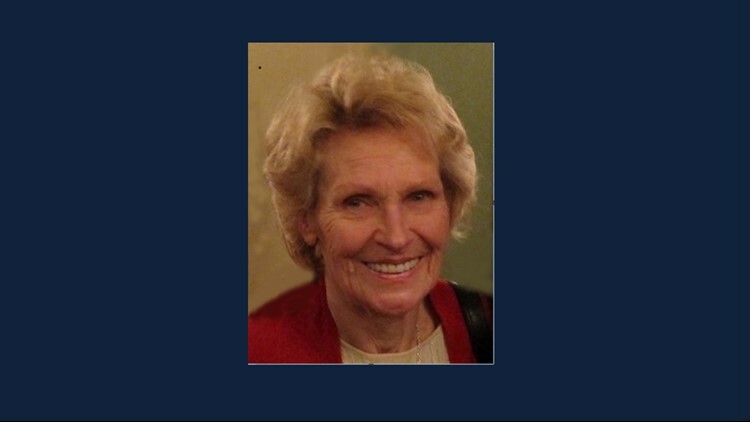 Portland police on Thursday identified the victim as Ortrud F. Vatheuer of Portland. The suspect's vehicle, described by Portland police as a red or burgundy older van, struck Vatheuer at around 7 a.m. at Southwest Carson Street and Southwest 45th Avenue. Vatheuer was pronounced dead at the scene. The suspect vehicle was last seen moving north on Southwest 45th Avenue after the crash. Vatheuer's nephew said his aunt was charming and had a kind heart. "She's a great lady and we're going to miss her," Martin Vatheuer said. "She loved to bake and cook, she loved flowers. She had a beautiful yard full of flowers and shared what she had with the neighbors and tried to do nice things for them. And they did nice things for her," he said. Neighbors in the area said they knew Vatheuer as someone who walked every morning and crossed the street at this intersection. "She loved to go on these power walks, she liked to move quick and walk with determination and go through her neighborhood," said Martin Vatheuer. Neighbors were sad for the loss of life, and some were angry, saying speeding drivers have taken over their road and the city hasn’t done anything to fix it. One neighbor said he led an effort to get the Portland Bureau of Transportation to do something to control speeds on the road beginning 10 years ago. Randy Bynum, who has lived on the street for a dozen years, said the process played out and found there was a safety problem. PBOT told neighbors it was ODOT's responsibility, and Bynum says nothing has changed. "We have a beautiful beloved neighborhood but this street is deadly. Here we are, a dead neighbor, and I am just sick to my stomach about this death," Bynum said. "People slow down, that's all we can say. This poor woman just out for her morning walk, unacceptable," said Leslie Simpson, who has lived on the street for 10 years. Anyone with information about this crash should call Portland police at 503-823-3333.